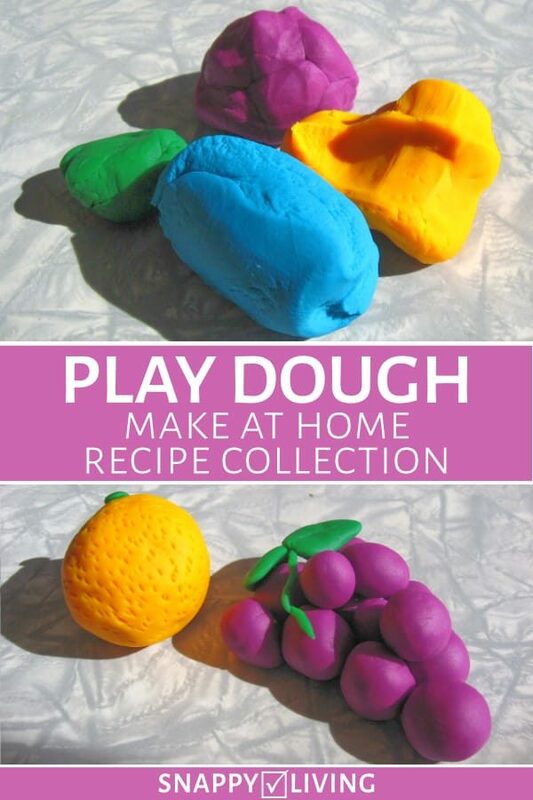 It’s ridiculously easy to make homemade play-dough with this play dough recipe collection. It’s less expensive than buying commercial versions, and you can also add creative touches. It also uses all non-toxic ingredients, and you’ll know exactly what’s in it if you’re making it for a child who has allergies. There are a lot of recipes out there than involve cooking, but these recipes involve no cooking and produce a nice clay with a good consistency that will usually last a few months when stored properly. Mix the dry ingredients together in a bowl. If you want food coloring, add it to the water and stir. Now slowly add the (colored) water to the dry mixture, bit by bit, stirring. Once the water’s all been added, start kneading until you get the right consistency. Same instructions as the first recipe: mix the dry ingredients, add the food coloring into the water and stir it, then add the colored water to the other mixture slowly, using a spoon to get it mixed in well. Once you’ve added all the water, knead it until it gets the right consistency. Put all the ingredients in a bowl and stir them until they’re thoroughly mixed, then knead. This is definitely the simplest recipe, but how economical it is depends on the price of cream of tartar at the moment. 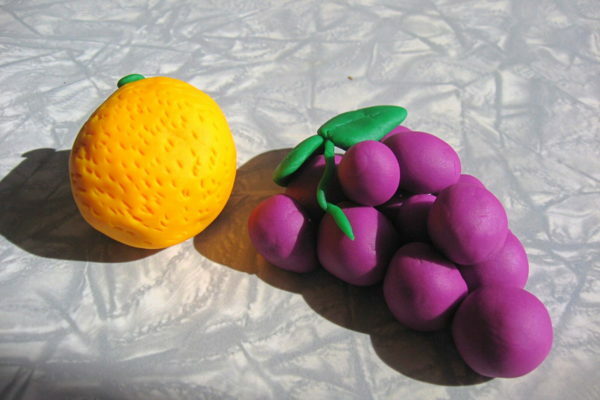 Add glitter, colored sugar or other cake decorations as you’re kneading the dough. Add essential oils and other liquid flavorings to give it scent. Make sure kids understand it’s not to be eaten. WARNING: don’t let kids or pets eat this stuff. Especially pets. While all the ingredients are edible and should not harm even a small child, the recipes all contain a lot of salt, which is not good for kids, and can really hurt some pets, particularly tiny ones. Be sure to store it in a place where hungry animals can’t climb up and get into it. Make sure your kids understand not to let pets eat it, either. 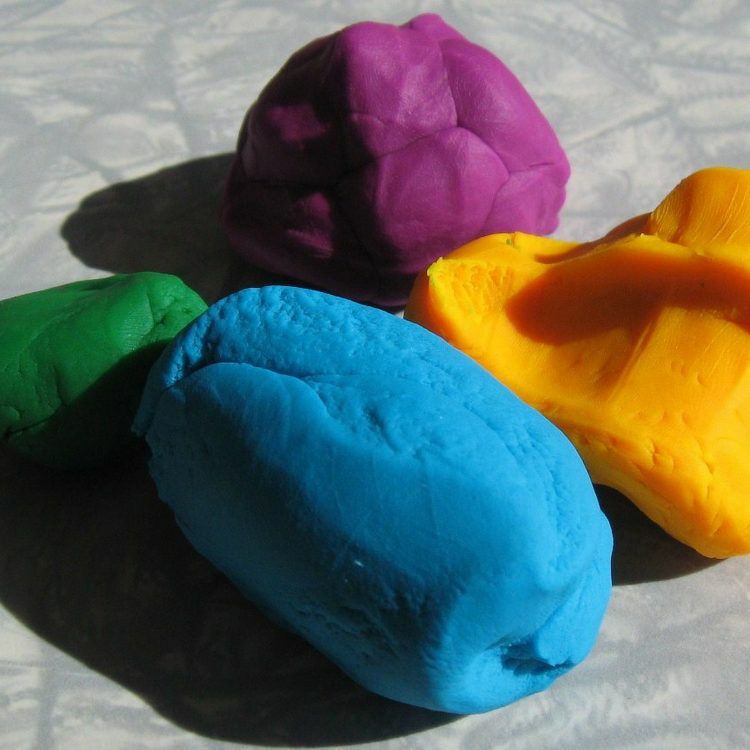 All these recipes should be stored in air-tight containers to keep them from drying out – just like commercial play dough. You don’t need to buy lots of different shades of food coloring. With just the three primary colors plus a black, you can mix absolutely any shade that exists.